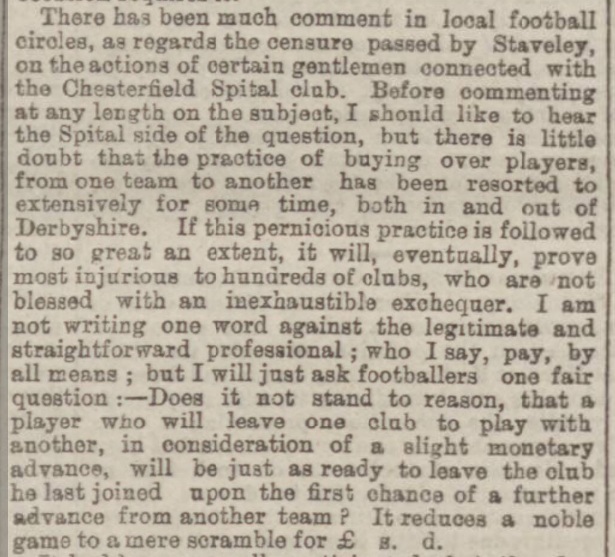 So said The Derbyshire Times in 1886, after it emerged that the Spital club were making money offers to local players to join them. 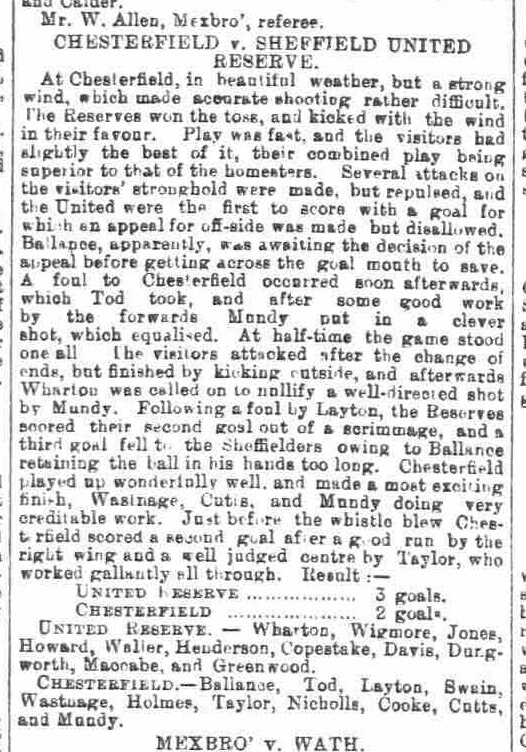 It is hard to find a good word for the Spital club in local papers. 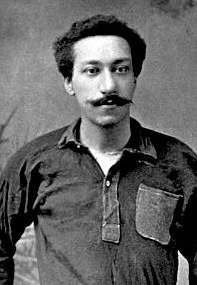 They are criticised for their tactics, for being a one-man team (with the diminutive winger Tommy Bishop being their Jack Lester,) for having a tiny ground and a terrible playing surface and for finding soft, well-paid jobs in the adjacent tobacco factory for their players. It is fascinating, of course, to see just how much of this reporter's rant has come true. Every word of it, as far as I can see. Staveley, of course, resisted this onslaught for just another four years or so, before the directors of Sheffield United came to pillage a playing staff for their recently-formed club. 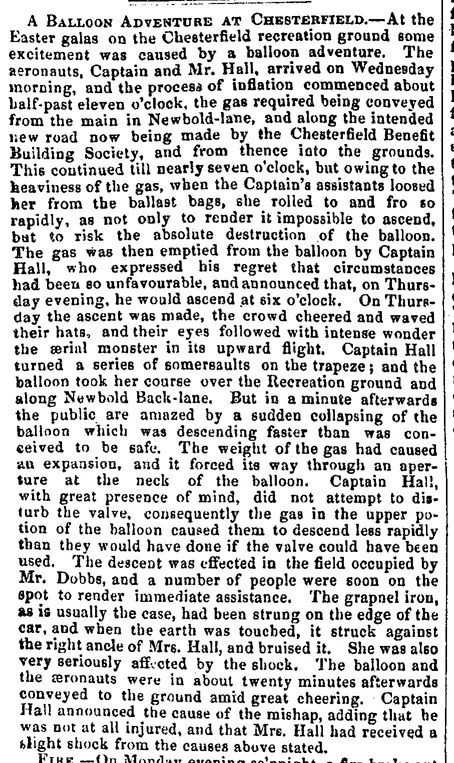 More Victorian fun, courtesy of the British Newspaper Archive and the Sheffield Independent. 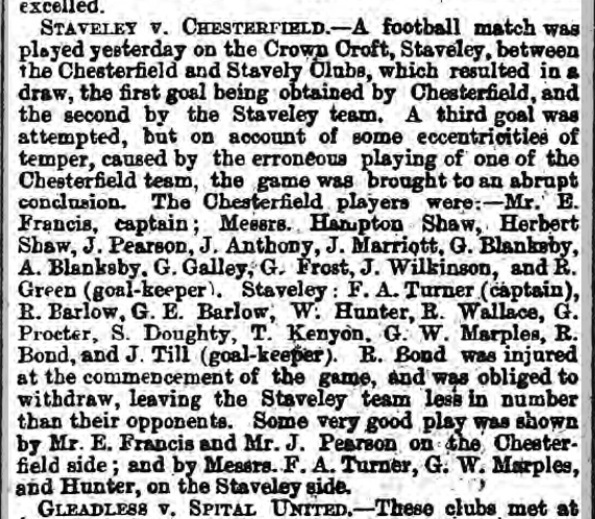 A match against Staveley is abandoned after a Chesterfield man's foul play causes a fight - at least, that's what the report says to me. I'd guess they were produced by the Zulus, rather than CFC; I wonder if any have survived in Sheffield? 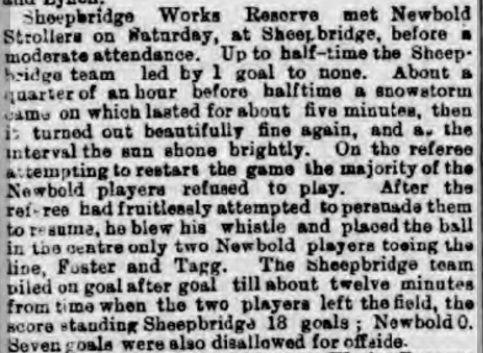 The Rec' as a multi-purpose venue that makes money on an all-year-round basis: How they did it in 1873. 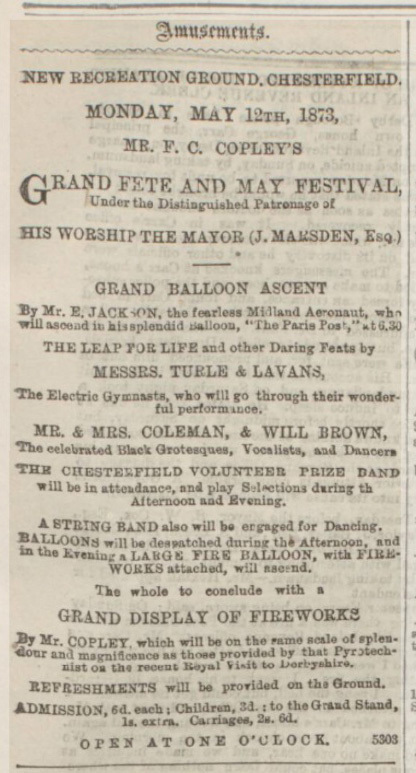 Electric Gymnasts, Balloons (including one stuffed full of fireworks and allowed to drift into the evening sky) and real black people! You're forced to wonder how Elton John would have topped all that! We were lucky to get nil! 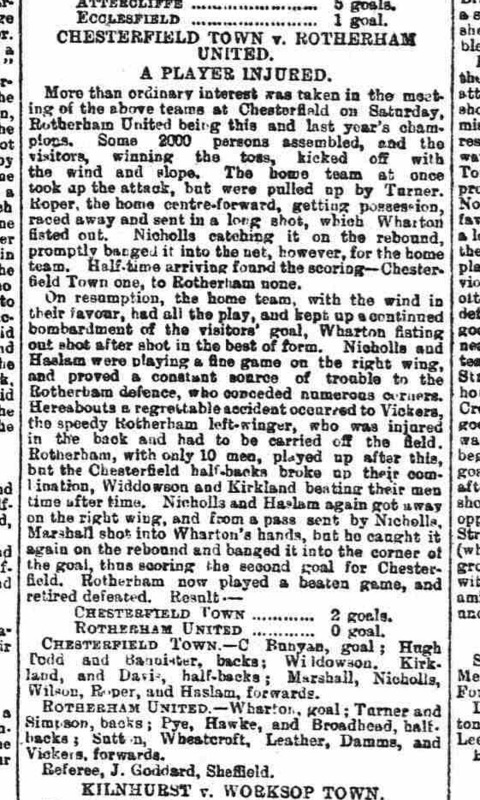 I'm a bit of a British Newspaper Archive junkie, which means that occasionally I come across reports for matches like this one, from 1894. Enjoy!